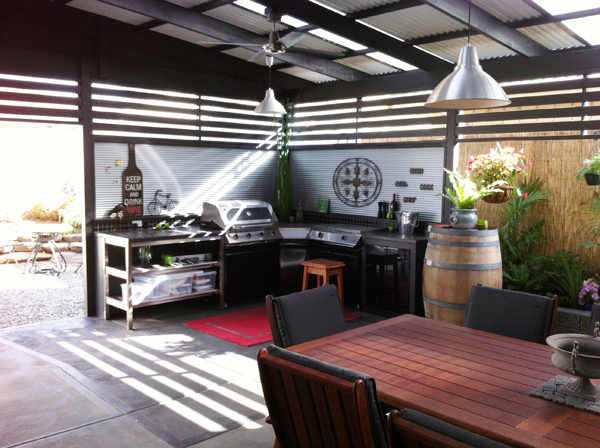 This is the trend of the moment – outdoor kitchens – and winter is the time build yours! 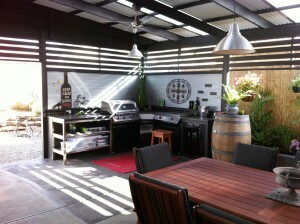 Here at Outside Concepts Marion, Ray Wickstein has built this beautiful, functional and inviting outdoor living space. It contains ample space for dining, an appealing and well-equipped kitchen all of which is complimented by an indoor garden and fernery. The extension itself is built at the rear of the house using treated pine framing for the pergola structure with corrugated Colorbond roof panels. Gunmetal Laserlite polycarbonate has been installed to allow filtered light. The infill walls are Miniorb which provide a contemporary sleek look. 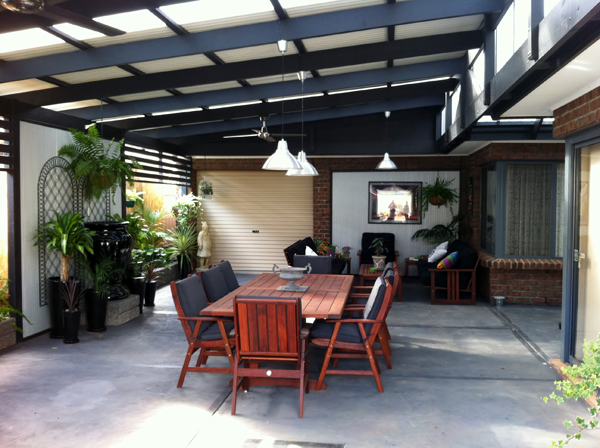 This space has something for everyone and is liveable and useful all year round.